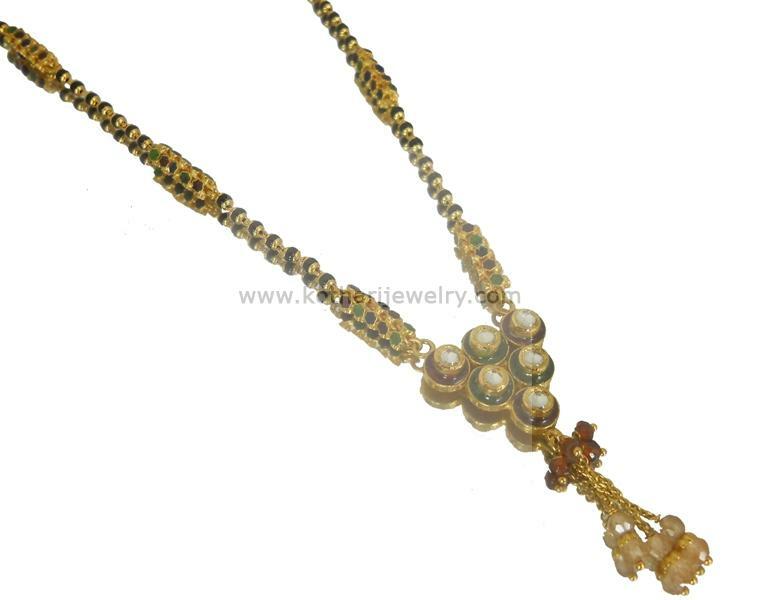 A unique creation of traditional kundan design in fashionable chain mangalsutra. The mangalsutra chain is painted in ethnic pattern with red and green meena ( enamel ) and studded with black beads. The mangalsutra pendant is a group of traditional kundans arranged in a traingular pattern. This short kundan gold mangalsutra is done in 22kt BIS hallmarked gold.